Those of you not already au fait with Earth�s lava-flow sludge riffage may well only know the band as that one with that poor sod who lent Kurt Cobain a gun, fans however will already be aware that Earth make the sort of noise you might get if you bunged on a Black Sabbath album, got rid of Ozzy�s bit and then put a brick on the turntable (a turntable is for playing those big old plastic things your parents had young readers � Ed). So what�s new on planet Earth, well vocals for a kick off (from Mark Lanegan and Rabia Shaheen Qazi), and a new found penchant for weaving melody into the colossal sturm und drang. Seismic. Hard to imagine that anyone who might be interested in this doesn�t already own it, so what�s the draw for shelling out again for this 2 x CD and 1 x DVD-Audio box set? 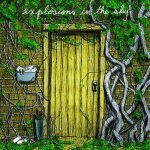 Well aside from a raft of rare extras and unreleased alternate takes, the ever prolific Steven Wilson (Porcupine Tree) also turns in new stereo and 5.1 mixes of what many still consider to be ELP�s finest hour � although another contender Tarkus also gets the 3 disc deluxe digipak treatment. 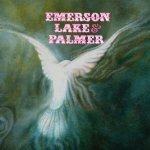 So probably not one for the casual listener, but long term fans will find much to fascinate and enthral on what is now the definitive version of ELP�s debut disc. Efterklang - now a trio following the departure of drummer Thomas Husmer, the drum stool currently being occupied, live at least, by Budgie of Siouxsie and the Banshees � have been firm favourites at TM-Towers since their superb live DVD Performing Parades (2009) so we were keen to hear Piramida (an abandoned mining town located deep within the Arctic Circle where the band recorded fact fans), and we�re delighted to say it�s their best to date utilising jazzy windswept brass, stately strings, angular spare percussion, massed choirs and lots, and lots of space all topped with Casper Clausen�s honeyed lugubrious vocals. Texan post rockers EITS�s sixth album and it�s business as usual as instrumentals flower from gently hypnotic slo-mo beginnings to great big stratospheric, sky-scraping denouements which, to anyone fond of a lyric or two, probably sounds deathly dull, but for those of us keen on the joys of goose-bump inducing soundscapes it�s manna from heaven, as once again EITS take a well trodden path and somehow manage to make it seem like a magical mystery tour. With the world seemingly obsessed with instant fix, get-it-now pop idol music EITS are a luddite joy for those who prefer their music to grow and evolve with repeat listens. Part of the ZTT Elements reissue series this Best of sidesteps the standard �bung the singles on with some recently discovered tape which should have remained on the recording studio floor' by surrounding classics like 'Pacific State', the mighty 'In Yer face' and 'C�bik' by rare remixes (the Aphex Twin take on 'Flow Coma' is just plain mental) and cherry picked collaborations with the likes of Bj�rk and Guy Garvey. 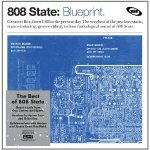 The State are often overlooked when dance history is discussed, which is a criminal shame as they were genuine pioneers, so if you have an 808 State gap in your collection this will fill it very nicely indeed. 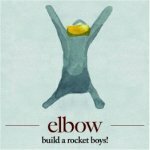 For anyone who has followed the fortunes of Elbow since 2001 debut Asleep in the Back, the massive crossover success of the Bury five-piece�s last album � 2008�s Seldom Seen Kid � will have come as delightful (if belated) confirmation of the band�s gift for emotive yet innovatory songcraft. 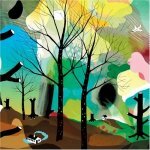 It would have been easy for Elbow to major on the more euphoric elements of its sound as the large arenas beckon, but the way-too-obvious �Open Arms� aside, this fifth studio effort scales everything back in favour of more detail and less varnish � a winning approach exemplified by the gorgeously proggish opener �The Birds�. 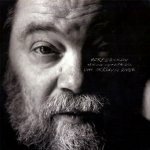 It�s highly unlikely that the sort of reader who frequents this site would be unaware who Roky Erickson is, but just in case you are younger than the average TM-O-er Roky co-founded, the 13th Floor Elevators (godfather's of psychedelic rock) and suffered from both paranoid schizophrenia and appalling treatment by the Texan authorities. 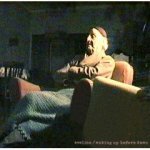 This record, mainly unreleased material penned throughout his decades-long career, details a harrowing life of electro-shock therapy, imprisonment and mental illness, easy listening this ain�t, but a career resurrection on a par with Johnny Cash�s work with Rick Rubin it most certainly is. 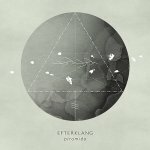 The wonderful Leaf label adds yet another treasure to its excellent roster (see also Efterklang, A Hawk And A Hacksaw, Icy Demons, Volcano! 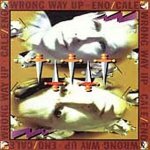 and Murcof), this gem cherry-picked from the singer-songwriter end of the spectrum and if that makes you want to put your head under a cushion fear not. 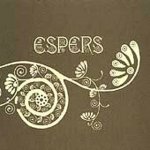 Yes this is a sparse affair but you�ll find no fey whimsical hey-nonny nonsense as Wrought Iron drips with intensity and deeply fractured melancholy due in no small part to Elizabeth�s brilliant voice. It�s not a fun listen certainly, but we have enough vacuous rubbish to go around, so let�s all give thanks for the arrival of a genuine new talent. 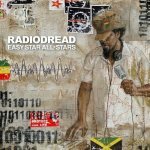 Reggae has a long, and noble, tradition of cover versions, but the Easy Star All Stars have taken that tradition to a whole other level with their thoughtfully inspired cover versions of both Dark Side Of The Moon and OK Computer and now they have turned their attentions to Sgt. Peppers, certainly their most ambitious project thus far and, given the ubiquitous nature of the material, they succeed admirably, retaining the wide ranging smorgasbord of styles on the original by drawing from the rich palette of reggae genres � plus grin inducing lyrical tweaks like 'woke up, got out of bed, dragged my fingers through my dreads'. More mind-boggling experimental racket from the long strip of land that stops the Swedish west coast falling into the sea and seems to be positively awash with modern-jazz and extreme-noise merchants. 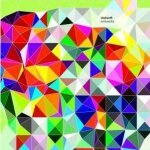 Featuring Supersilent and Humcrush keyboard whizz St�le Storl�kken, Shining�s thunder-house drummer Torstein Lofthus and bass player Nikolai Eilertsen Dodovoodoo, sounds not unlike Emerson Lake & Palmer on acid but without the pomp, welding jazzy rock passages to prog fuelled psychedelia, this is nonetheless oddly accessible and once agian highlights just how musically fecund Norway is right now. 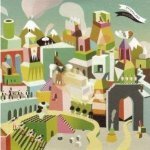 Apparently Robert Wyatt is rather fond of this Italian outfit who, suitably enough, have a real aura of �Canterbury scene� about them � recalling, to this listeners ears at least, Caravan�s If I Could Do It All Over Again, I'd Do It All Over You, with a healthy dose of Tortoise-esque post-rock. 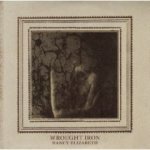 Given that Italy is home to some tremendous prog-rock type outfits (who understand prog in the noughties is about a good deal more than convoluted time signatures) this is perhaps not a huge surprise, but what is unexpected is the almost Nick Drake like beauty of some of the songs on offer here. 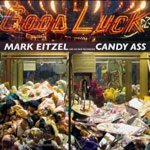 No doubt about it: Mark �E� Everett is an artist for the multi-platform age, with an excellent TV documentary about his quantum physicist father, Hugh Everett III, and a memoir, Things the Grandchildren Should Know, also reaching the wider world in recent months. 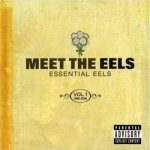 Back at the day job, Meet the Eels� offers an overdue opportunity to catch up with Eels� off-beat pop via a 24-track, career-spanning collection. �Novocaine For the Soul� and �Susan�s House� remain iconic slices of �90s indie, while the later �Flyswatter� and �Hey Man (Now You�re Really Living)� typify E�s darkly satisfying way with a swinging tune. Having got all of a dither about previous EP outing Under Giant Trees recently the expectancy levels surrounding this album was little short of, well, high frankly. Pigeonholing this remarkable album is not only impossible it would also do it no little disservice (you lose track of the instruments involved) it�s probably best to just say that it is appealing in the same way that Sigur R�s, Arcade Fire and amiina are, experimental music which plucks at your heartstrings whilst running riot around your synapses. The next time someone tells you there is nothing new left to be said in popular music stick this on and watch �em shrivel. A limited edition mini album (beautifully packaged in embossed card) which, if you have yet to experience the bands gently evolving soundscapes, is as good a starting place as any. Reviews to date have used words like astonishing, intoxicating and heart-breakingly brilliant, and for once these aren�t journalistic flim-flam, spending half and hour with Efterklang really is a spine tingling experience and just when you think you have them pegged as a sort of film soundtrack obsessed Danish Sigur Ros they drop in a warped sea shanty style chorus (�Towards The Bare Hill�) and woozy brass band which damn near bring tears to your eyes. If we tell you E-WH�s are ex-Henry Cow multi-instrumentalist Geoff Leigh and Porcupine Tree bass player Colin Edwin - with a revolving cast of buddies � you won�t be surprised to learn we are in instrumental �progressive� territory with equal parts jazzy squonking, polyrhythmic pounding and fluid, dubby bass interspersed with ambient washes, electronic squelching and influences filched from every corner of the known world. 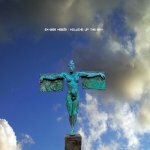 If this makes you feel like reaching for the nearest Oasis album then you�d best give this a body swerve, if however you like your sounds innovative, open minded and intriguing than check this out. Having decamped to the wilds of Norfolk with a box full of ukuleles, dulcimers, harmoniums and an assortment of stuff to whack, Pete Astor and David Sheppard (also known to fans of Wisdom Of Harry and State River Widening) set about concocting a seriously woozy rural racket which, in all honesty at twenty tracks long, outstays it�s welcome by a good five or six tracks but is nevertheless, in the main, a very endearing collection of skewed folktronica. Just the sort of thing you might imagine issuing forth from the mill in Tales Of The Riverbank if Hammy, Roderick and Co. had been nibbling at the magic mushrooms. 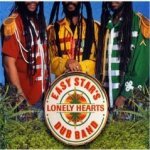 The bods behind festival favourite Dub Side Of The Moon (resident on the Billboard reggae chart for some three years), but how do you follow such a singular success story? Well how about re-inventing another recreational smokers classic like OK Computer? And the All Stars � with help from Horace Andy, Toots and the Maytals, Sugar Minott and Frankie Paul � have done just that, sometimes sticking to the original blueprint, sometimes taking the idea and running amok, but always pinning the results to stomach rumbling, dubbed up, roots reggae, and it works a bloody treat, this has been stuck in the player almost non-stop, buy it now. 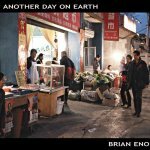 Originally released in 1981 this collaboration between ambient pioneer Brian Eno and Talking Heads frontman David Byrne � the pair met whilst collaborating on the Heads avante-funk Fear Of Music (and would go on to co-create the magnificently deranged Remain In Light) � was one of those albums that influenced exponentially more people than it ever sold to introducing, if not the first sample based electronic album ever, certainly the most fully realised and accessible melange of found sound, loops and beats available up to that point. Now expanded to include extra outtakes, and some totally unnecessary new cover art. If any band can be said to be an archetypically �80s outfit then the Eurythmics are they (formed as the decade began and splitting � recent reformations aside � at the decades close), consequently a great deal of their output is sonically best described as 'of it�s time', but to damn them due to an accident of timing is to ignore the quality of the song-writing and the genuine power and depth of Annie Lennox�s vocals. 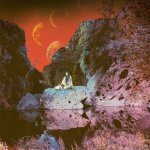 Serious Eurythmic-ophiles will doubtless want to pick up the newly re-mastered and expanded versions of the bands entire back catalogue, for the rest of us this has pretty much all you might want. 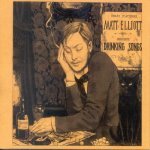 Matt Elliott watchers of old know that this is the man behind the magnificent, and sadly missed, Third Eye Foundation � track down �98s You Guys Kill Me album for some of the most desolate, dark and beautiful electronic music ever made. 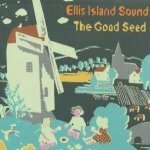 Nowadays Mr Elliott is living in France and clearly in the thrall of Eastern European folk music, albeit folk music with the most luscious dark ambience, then, just when you are beginning to get a grip on the exquisitely maudlin proceedings, he drop kicks your senses with a massive clattering drum and bass interlude that just leaves you breathless. Astonishing. 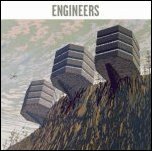 Wigan four-piece Engineers eponymous debut deals in what can best be described as symphonic layering, nothing here clocks in at much above a languorous afternoon stroll along the beach and, on first listen at least, dropping in on each track at random doesn�t reveal much in the way of dynamic tempo change. Listen again, however and this slow building, multi-layered (whisper it) 'shoegazing' approach actually works extremely well, calling to mind everyone from band faves Talk Talk to the Beta Band. Imagine a less overblown Spiritualised or a less feedback laden My Bloody Valentine and you�re not far short. Having promised the world with their The Good Will Out debut Embrace then promptly delivered, nowt, bugger all. A bit harsh? Perhaps but neither Drawn From Memory or If You've Never Been had anything approaching the sort of sky-scraping anthems that littered their debut. In short it seemed the light had truly gone out in Embrace land. Then the band welcomed early producer Youth back who in turn welcomed back sweeping, widescreen rock, in the words of Danny McNamara "the big tunes are back". 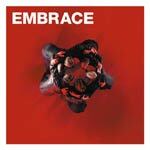 So, better late than never, Embrace finally deliver on that early promise� Out Of Nothing indeed.